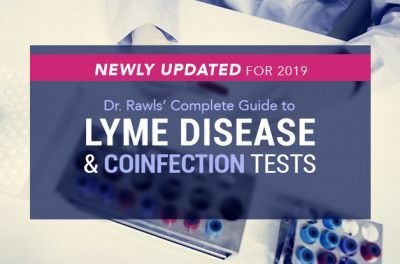 Likely, you have come to this page in hopes of sorting out some of the confusion surrounding Lyme disease. There is so much controversy around this disease because most doctors don’t understand it. Even many doctors, who consider themselves experts, do not completely comprehend its complexities. But I have one qualification that most other physicians do not. 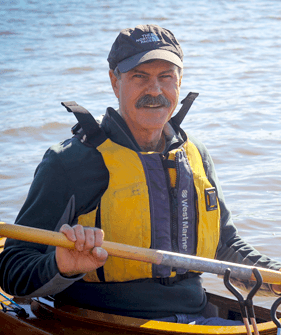 My life—and a busy medical career—were disrupted midstream by fibromyalgia, later diagnosed as Lyme disease. My late 40s were marked by debilitating fatigue, tremendous brain fog, aching all over, burning in my feet and tingling in my hands, skin rashes, joint pain, chest pain, heart palpitations, mood changes, and poor sleep. I know what it’s like to start and end every day feeling like you have a terrible flu. 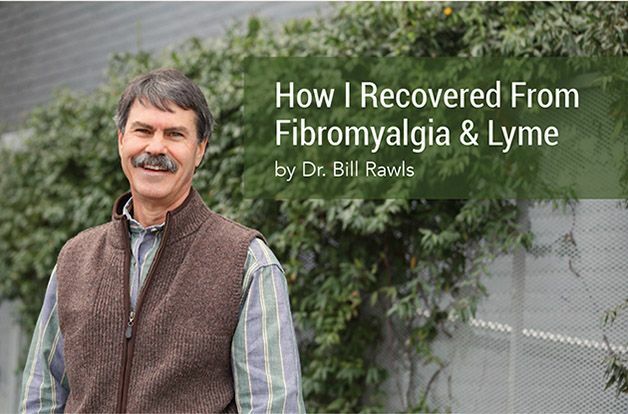 Over several years, I experienced virtually every known symptom of Lyme disease. Ultimately, this caused me to stop practicing obstetrics. But because I didn’t have a firm diagnosis at the time, declaring disability wasn’t an option. As an alternative, I started a less demanding primary care practice that did not require night call. The practice provided me with the environment I needed to recover. I had control over my work hours and the intensity of the work. However, the obligations of the practice prevented me from leaving town and working limited hours created financial constraints. Traveling to see specialists in Lyme disease or having expensive labs done simply wasn’t possible. I had to figure things out using resources at my immediate disposal. Having since met numerous people who squandered life savings chasing heroic solutions that didn’t work, I now consider it a blessing in disguise. Retrospectively, I may have harbored Borrelia burgdorferi (the microbe that causes Lyme disease) for years before I actually developed symptoms. I’m an outdoor person; tick bites have always been an everyday affair. It’s not uncommon for people to harbor Borrelia and not know it; stealth is this microbe’s middle name. Lyme disease is mostly transmitted by nymphal ticks, which are about the size of the pin. They bite, transmit the microbe, and then drop off — most people aren’t even aware of being bitten. Because symptoms of the initial infection are so mild (if they occur at all), it’s not uncommon for people to be completely unaware of being infected. And Borrelia isn’t the only microbe to worry about. Ticks carry many microbes that have similar characteristics to Borrelia. What they all have in common is stealthy characteristics that make them hard to find–and even harder to get rid of. If immune system function is robust, a person can harbor these types of microbes indefinitely without ever having symptoms. When illness does occur, it’s typically chronic and debilitating, but not life-threatening. Additionally, the degree of chronic illness is highly variable. Some people are severely debilitated, while others are only marginally miserable. Borrelia rarely causes life-threatening illness, but it can make you desperately miserable for a lifetime. 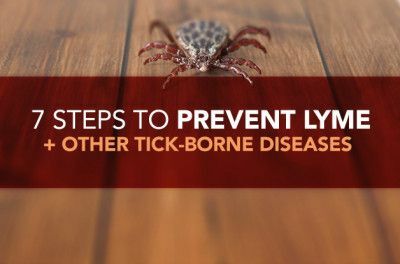 There are 20 known species of Borrelia that can cause human illness (not just Borrelia burgdorferi), and it is not uncommon for people with Lyme disease to harbor at least two species. Beyond Borrelia, there are hundreds of species of stealth-type microbes that can be transmitted by ticks. Mycoplasma and Bartonella are the most common, but there are many many others. Most everyone on the planet harbors some stealth microbes without knowing it. All these factors make Lyme disease extremely difficult to diagnose; lab tests are notoriously unreliable, especially in chronic illness. Because Borrelia is so difficult to diagnose and can be harbored without causing symptoms, no one really knows how many asymptomatic carriers there are worldwide. When I was first diagnosed with Lyme disease, my first response was to try antibiotics. But every time I started a new round, I would be absolutely miserable by the second week. Nausea, abdominal discomfort, and generally feeling terrible all over increased until I was forced to stop the drug. Probiotics didn’t help and the same response occurred to different types of antibiotics. While some people tolerate antibiotic therapy better than others, it became obvious that I would have to find a different solution. I later discovered that my experience was not unique; many people seem to have the same response. I also met numerous people who had undergone 6-9 months of intravenous (IV) antibiotic therapy, only to be right back where they started within a couple of months of finishing the antibiotics. Though there may be some logic in using antibiotics for 2-4 weeks during acute infection, many people develop symptoms despite initial use of antibiotics. As I came to know the microbe better, I began to understand why antibiotics are not necessarily a good treatment for chronic Lyme disease. Though some people do overcome Lyme disease with antibiotics, it doesn’t occur consistently enough to be considered reliable. To date, no clinical studies have shown benefit from long-term antibiotic therapy for chronic Lyme disease. Borrelia clears the blood quickly and uses its corkscrew shape to penetrate deeply into tissues (including joint cartilage, brain, nerve tissue) where it is protected from antibiotics and the immune system. It can penetrate into cells, give up the corkscrew shape, and live inside of cells, thus gaining protection from the immune system and antibiotics. If confronted with a full antibiotic assault, it rolls up into dormant cyst and rides out the storm until the antibiotics are gone. Antibiotics work best on highly threatening microbes that grow very rapidly and are densely congregated in localized areas in the body (like a pneumonia). Borrelia grows very slowly in the body and only occurs in very low concentrations in tissues. Borrelia is a master at blending in with the trillions of other microbes that make up the human microbiome (the sum of all microbes in the body). Overwhelming the host is not its mission; it simply needs to scavenge enough resources to survive. Borrelia’s stealthy ability to lay low makes diagnosis and treatment a real challenge. Borrelia never occurs alone. There are many stealthy microbes (Mycoplasma, Chlamydia, Bartonella, EBV, CMV, others) that can occupy space in the microbiome. 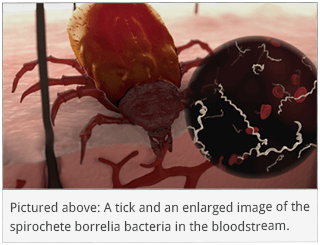 Sometimes they occur as coinfections with the tick bite, but they can already be present in the microbiome, without causing symptoms, when infection with Borrelia occurs. Stealthy microbes, such as Borrelia (and also the co-infections), win by persistence, not aggression. They can hang on, protected from antibiotics by living inside cells and staying isolated in the deepest recesses of the body. Frequent use of antibiotics kills off normal flora in the gut and skin, allowing overgrowth of pathogens like Candida (yeast), C. Diff. and MRSA skin infections. Antibiotic-resistant pathogens are more threatening than the microbes that cause Lyme disease. Disruption of the normal flora by antibiotics and emergence of antibiotic resistant pathogens causes significant gut dysfunction. 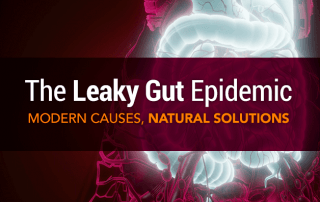 Because 70% of immune system functions are located in the gut, immune functions are also adversely affected. This adds fuel to the fire to an immune system that is already heavily taxed by an ongoing tug-of-war with stealth microbes. Mitochondria, the powerhouses present in every cell in the body, were once primitive bacteria. A billion years ago, these high-energy bacteria were hijacked by cells of higher living creatures to produce energy. They became part of cells of all higher life forms, but they still retain bacteria-like characteristics. Having bacteria-like characteristics makes mitochondria susceptible to damage by many types of antibiotics. This may be why many people experience fatigue with antibiotic use. Borrelia can exist in biofilms, but how much this contributes to resistance to treatment is controversial. Possibly more concerning is the effect antibiotics have on natural biofilms in the colon. Friendly microbes create biofilm in the mucous lining of the distal small intestine and the large colon. This type of biofilm is protective and essential for a healthy colon. Long-term use of antibiotics can disrupt this protective barrier and increase risk of gut illnesses such as ulcerative colitis and colon cancer. 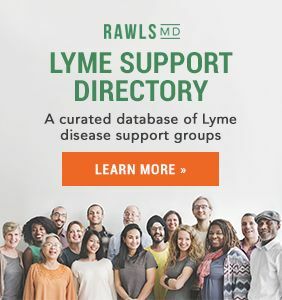 Possibly the most compelling suggestion that antibiotic therapy has significant limitations is this: if antibiotics really worked for chronic Lyme, people wouldn’t be searching for other solutions. But people are scouring the Internet every day, by the thousands, for solutions to chronic Lyme disease that actually work. Note: The primary situation where antibiotics have proven value is in early treatment of infections with more virulent tick-borne microbes such as Rickettsia rickettsii (the cause of Rocky Mountain Spotted Fever), Ehrlichia, Anaplasma, and in some cases, Babesia. These microbes typically present with high fever and severe symptoms during acute infection. Being more virulent, they typically respond better to antibiotic therapy and generally, 1-2 months of antibiotics is curative if infections are caught early. I became desperate to find something… anything that would relieve my misery. I searched the Internet and read every book available about Lyme disease. 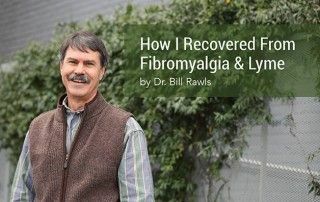 I was aware of “Lyme Docs” who promoted prolonged use of IV antibiotics, but I couldn’t get comfortable with the idea. I knew enough about synthetic antibiotics to be gravely concerned about what it would do to intestinal flora and immune functions after several months of treatment (either IV or oral). Anyway, I really didn’t have the luxury to choose; my new medical practice kept me locationally confined and financially restricted. I would have to find an option that came to my doorstep. There were a lot of options to choose from. Ever since people have been aware of Lyme disease, they’ve been throwing everything imaginable at it — from “ray beam” energy generated by Rife machines to drinking turpentine — all with the hope of killing the microbe. I created a list of all potential solutions and prioritized according to cost, potential for toxicity, and evidence of benefit. Things that were very costly or carried a high potential for harm were kept at the bottom of the list. At one point, I actually considered buying a Rife machine. The potential for harm seemed very low, but I couldn’t find any scientific evidence that the technology worked or that anyone had actually been cured. Paying $2,000-$4,000 for a machine that may or may not do anything was a risk I couldn’t afford to take. Natural herbal therapy was definitely on my list; I had a longstanding interest in herbal therapy. But my medical background made me skeptical. How could anything natural and non-toxic actually get rid of something like Lyme disease? It was about that time that I came across Stephen Buhner’s book, Healing Lyme. In Healing Lyme, Buhner provided a better explanation of Lyme disease than any I had read. He also presented compelling evidence for treating Lyme disease using herbs with antimicrobial properties (used with or without antibiotics). His approach was logical and based on sound scientific evidence. I was intrigued. Simple, nontoxic, cost-effective…and I could have it delivered to my doorstep. Why not give it a try? The only drawback was the complexity of the protocol. It required purchasing multiple ingredients from different sources and taking 3-5 capsules of each ingredient three times a day. Keeping up with it all was a challenge. I wanted to give the protocol full opportunity to work, however, so I made a concerted effort to follow it to the letter. The intestinal side effects that I experienced from taking antibiotics never happened. Within weeks, the misery started to ease; the pain in my joints and muscles became tolerable and my chest pain started to dissipate. The Buhner protocol gave me a new lease on life, but I was determined to go further. As my health continued to improve, I immersed myself in the study of herbal therapy. I studied herbal traditions from different cultures, as well as the accumulated science and research available. Through this process, I discovered additional herbs with potent healing properties and added them to my herbal regimen. The more I studied, the more it became apparent that herbal therapy was a perfect fit for suppressing the stealthy microbes associated with chronic Lyme disease. Plants have to deal with a wide range of microbes, including bacteria, viruses, protozoa, and fungi, just like any other living creature. Not having an immune system, plants deal with the problem by producing sophisticated spectrum of biochemical substances. Instead of one chemical, like an antibiotic, a medicinal herb contains hundreds of chemicals that suppress microbes in different ways; therefore resistance is almost unheard of, even with very long term use. Some herbs provide more potent antimicrobial properties than others. While herbs would never be a good choice for treating a life-threatening illness like pneumonia, they are perfect for suppressing stealth microbes associated with chronic illness. Different herbs offer a slightly different range of benefits, therefore multiple herbs can be used together to cover for all possible stealth microbes involved. In fact, this is the preferred way of doing herbal therapy (a concept called “synergy”). This provides for a wide spectrum of activity against a wide range of microbial threats. You can think of it as an orchestra of healing — the sum of multiple herbs is more powerful than each herb individually. Over the millennia, humans naturally selected certain plant substances for use as medicines. These plants, now known as medicinal herbs, have chemistry that meshes well with human biochemistry. Not surprisingly, medicinal herbs are well tolerated by most people and can be safely used for extended periods of time. *Please consult with a qualified healthcare provider before beginning a new herbal therapy program. Herbal therapy may not be right for you if you have certain health conditions, are on medications, or are pregnant or breastfeeding. Herbs reduce inflammatory messengers (called cytokines) generated by the microbes, shift the balance of the immune system away from inflammatory processes, and restore the ability of the immune system to function normally. These balanced elements are some of the essential keys to getting (and remaining) well. Plants have to deal with the same friend-versus-foe microbe problem that we do. The sophisticated spectrum of biochemical substances present in herbs support the normal balance of microbes of the body (microbiome), while offering resistance to potential threats at the same time. This unique feature of plant medicines works quite differently than synthetic antibiotics. The immune system of the body is well equipped to deal with both biofilms and bacterial cyst forms. These bacterial survival strategies only become a problem when immune function is disrupted. By protecting and supporting normal immune function, herbal and natural therapies may enhance the ability to slowly etch away at any biofilms present and mop up bacterial cyst forms. Herbs protect organ systems in the body, including cardiovascular, liver, and nerve functions. Herbs balance hormone systems, especially adrenal hormones, and protect cellular function. Herbs are anti-fatigue and improve stress tolerance. No drug on earth can provide the range of benefits present in medicinal herbs! *Disclaimer: These statements have not been evaluated by the FDA. This information is not intended to diagnose, treat, cure, or prevent any disease. I had likely harbored Borrelia and other stealth microbes long before I got sick — everyone harbors some stealth microbes in the grand mix of their microbiome. 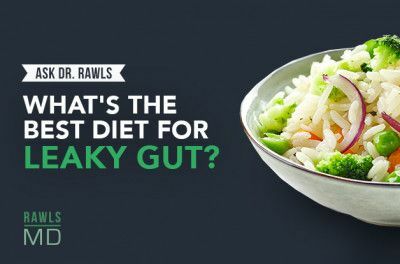 For me, years of rigorous night call, eating on the run, and other bad health habits weakened my immune system enough to allow the microbes to flourish. Even before starting herbal therapy, I had given up night call by necessity. Adequate restorative sleep is essential for overcoming any chronic illness. Sleep was so disrupted, however, that it took a lot of effort for me to restore normal sleep. Stress didn’t go away. In fact, the process of changing my life added new stress, but I learned how to manage stress on the fly. I took control of my life. Being proactive about your own situation is essential for success. Everything I’ve discussed so far I classify as Restorative Therapy. It’s the foundation for getting well. Restorative Therapy focuses on optimizing immune function and restoring homeostasis (natural balance in hormone and healing systems in the body), as well as killing or suppressing microbes. Herbs are the cornerstone of Restorative Therapy. Healing takes time, however, and pronounced symptoms can be a real impediment to progress. Symptoms of pain and poor sleep are especially aggravating. In the short term, treating symptoms directly until healing occurs can have value. Symptomatic Therapies, as you might expect, are therapies that are specifically directed at controlling symptoms. Sometimes treating specific symptoms directly and aggressively can expedite recovery. It mostly comes in the form of drugs (prescribed by a primary care provider), but there are some natural and alternative options that fit into this category. 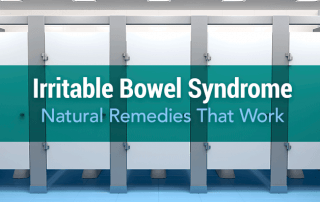 The benefits of symptomatic therapies are generally limited to acute relief of symptoms. The contribution to healing and wellness is generally minimal. Suppression of symptoms is transient and only lasts as long as the therapy is administered. In chronic Lyme disease, Heroic Therapies are mostly focused on aggressively killing microbes. Heroic therapies commonly used in Lyme disease include synthetic antibiotics, steroids, and anti-inflammatory drugs of various types. Alternative forms of heroic therapies use oxidation, electricity, and various types of radiation. This strategy is always passive — you go to health care provider and have something done to you. It puts someone else in control of your recovery. Use of heroic therapies is limited by the incidence of side effects and the potential for disrupting systems in the body even further — generally the more potent a heroic therapy is, the greater the potential for harm. Though there is a place for each type of therapy, that place must be kept in perspective — every person’s pathway and needs are slightly different. The conventional medical approach of relying almost exclusively on heroic and symptoms therapies rarely results in wellness. 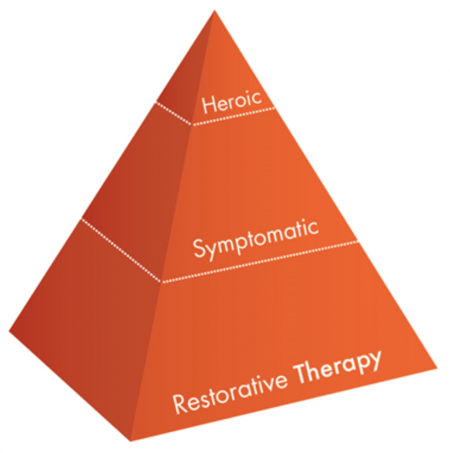 A holistic approach to recovery uses restorative therapies as a foundation, symptomatic therapies in early stages as necessary, and heroic therapies only when specific indications are present. When Restorative Therapy is your foundation, if heroic therapy of some type ends up being necessary, lower doses of shorter duration are generally adequate. This greatly reduces the potential for toxicity. People who try to get well using heroic and symptomatic therapies alone often fail. 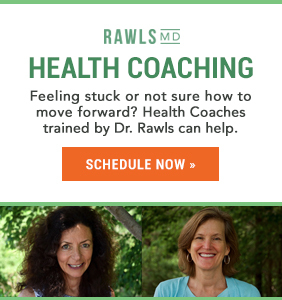 They bounce from one heroic option to the next, never achieving a goal of true wellness. In contrast, people who make the effort to build a solid restorative foundation have high probability of achieving wellness and enjoying normal life! Once I got my health back, I wanted to help others do the same. To do so, I had to simplify the process. What had taken me years of effort and research to figure out needed to be boiled down into an easy protocol. The first step was simplifying the process of taking the herbs. My interest in herbal medicine extended to the herbal industry itself. I had learned where to get the best quality herbal extracts, how to properly evaluate the quality of herbal extracts, and the best place to have the extracts encapsulated and bottled. My daughter, who witnessed firsthand how herbs had helped me, came on board to manage the business. Our intent was creating the best possible herbal supplements for the money. 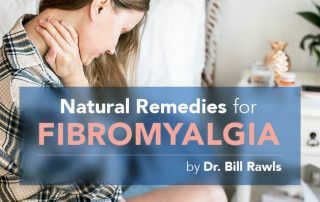 I condensed my entire natural protocol for overcoming chronic Lyme into four primary formulas. 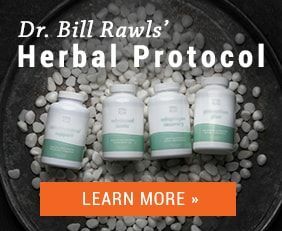 These four formulas contain the top 50 ingredients that I’ve researched for strengthening the immune system. The daily regimen is simple: 3 capsules of each formula twice daily. The supplements are essential; it’s hard to get well without them, but recovery is a process. To guide people through the process, I created a an email course. Over 6 months, participants receive brief emails several times a week. Although I do things differently now, I’ve come to really enjoy a healthful lifestyle. The trade-offs are worth it—things seem to improve for me every year. My joints are in great shape. My energy levels are sustained throughout the day and I’m as active as I want to be. 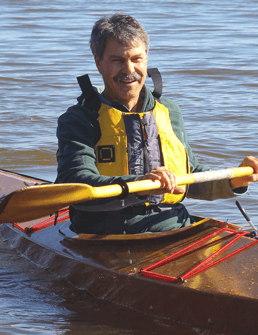 As for the borrelia microbe, I may still harbor it. Whether anyone ever gets rid of it is a complete unknown. But the most important thing is that I’m living a normal life, free of symptoms and also free of many of the effects of aging that most people of my age experience. 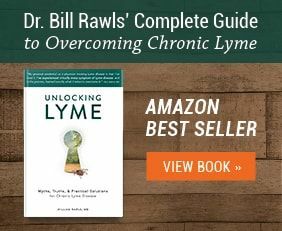 Over the years, I’ve compiled everything I’ve learned into a book called Unlocking Lyme to help guide the way for others. 1. Berende A, ter Hofstede HJ, Vos FJ, et al. Randomized Trial of Longer-Term Therapy for Symptoms Attributed to Lyme Disease. N Engl J Med. 2016;374(13):1209-1220. 2. Rudenko N, Golovchenko M, Vancova M, et al. Isolation of live Borrelia burgdorferi senso lato spirochaetes from patients with undefined disorders and symptoms not typical for Lyme borreliosis. Clin Microb Infect. 2016;22(3):267. Epub 2015 Dec 8. 3. Perez-Cobas AE, Gosalbes MJ, Friedrichs A, et al. Gut microbiota disturbance during antibiotic therapy, a multi-omic approach. Gut. 2013;62(11):1591-1601. Epub 2012 Dec 12. 4. Morgun A, Dzutsev A, Dong X, et al. Uncovering effects of antibiotics on the host and microbiota using transkingdom gene networks. Gut. 2015;64(11):1732-1742. Epub 2015 Jan 22. 5. Kalghatgi S, Spina CS, Costello JC, et al. Bactericidal antibiotics induce mitochondrial dysfunction and oxidative damage in Mammalian cells. Sci Transl Med. 2013;5(192):192ra85. 6. Macfarlane S, Woodmansey EJ, Macfarlane GT. Colonization of mucin by human intestinal bacteria and establishment of biofilm communities in a two-stage continuous culture system. Appl Environ Microbiol. 2005;71(11):7483-7492. 7. Macfarlane S, Dillon JF. Microbial biofilms in the human gastrointestinal tract. J Appl Microbiol. 2007;102(5):1187-1196. 8. Macfarlane S, Bahrami B, Macfarlane GT. Mucosal biofilm communities in the human intestinal tract. Adv Appl Microbiol. 2011;75:111-143.